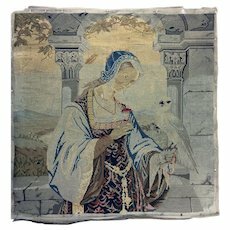 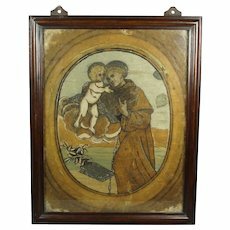 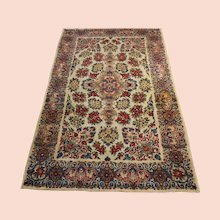 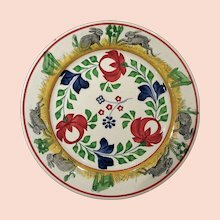 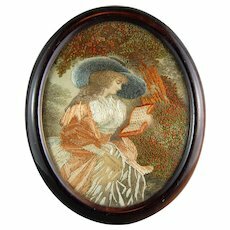 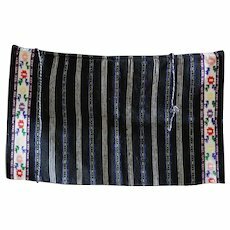 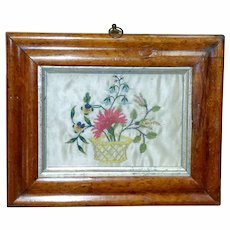 Georgian period silk and wool needlepoint art. 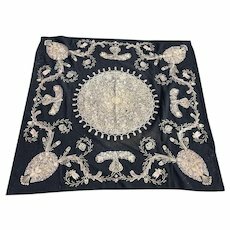 Mixed techniques of ink, silk, wool and paint. 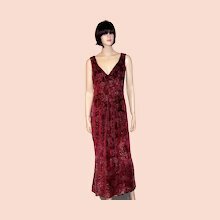 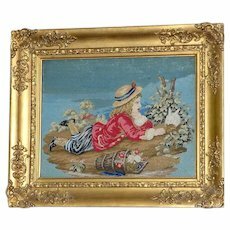 Circa 1790 - 1810. 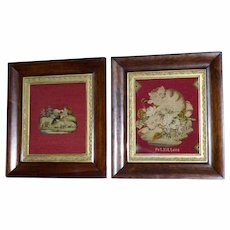 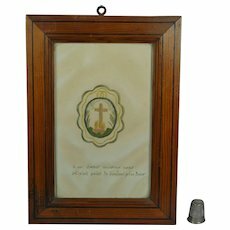 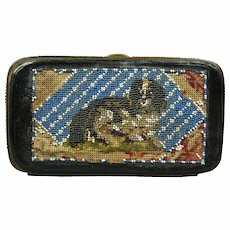 Pair of Early Victorian 19th Century Berlin Woolwork Pictures, One Entitled "Pet Kittens"
Lovely Needlepoint Embroidery ~ Silk and Wool ~ Georgian period . 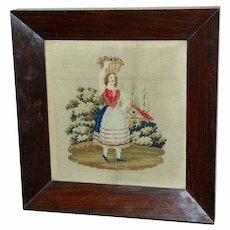 Circa 1790 - 1810. 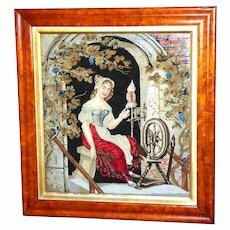 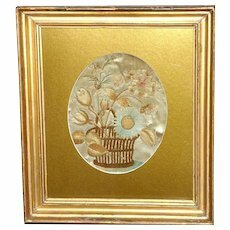 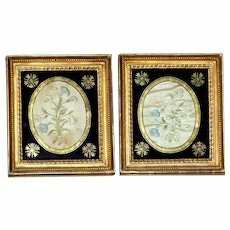 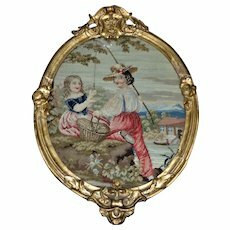 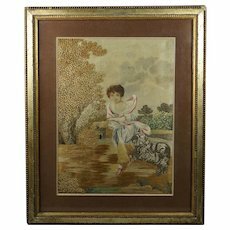 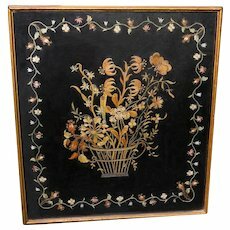 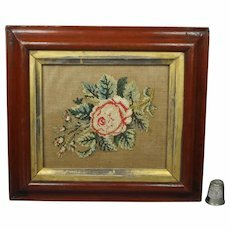 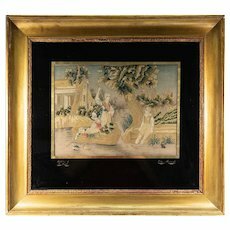 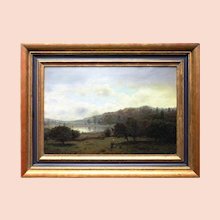 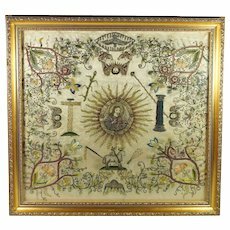 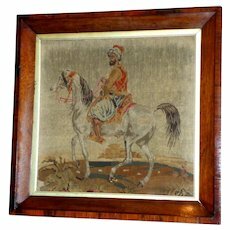 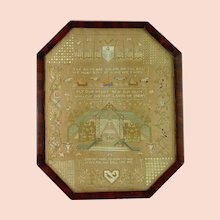 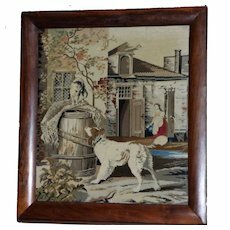 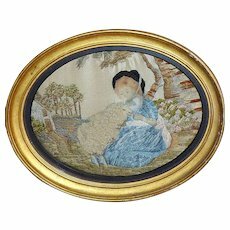 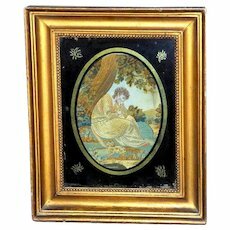 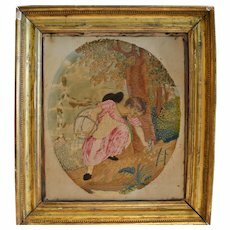 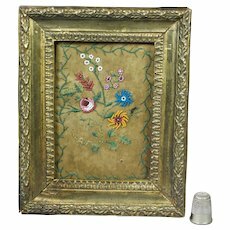 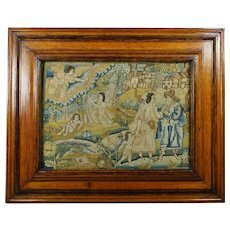 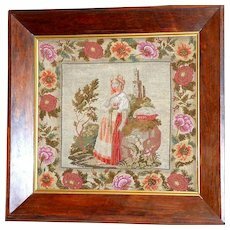 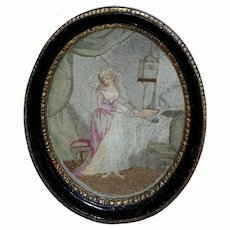 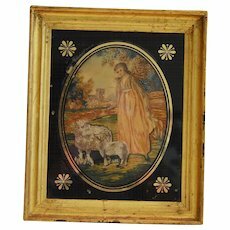 C. 1800 Antique French Fine Silk Petitpoint Needlework Tapestry, In Frame & Eglomise Mat, 25" x 23"